The Consumers' Foundation announced Monday that it will file a class action on behalf of consumers in mid-April against four producers of allegedly tainted edible oils and ask for compensation of more than NT$30 million (US$947,204). The four -- Chang Guann Co., Ting Hsin Oil and Fat Industrial Co., Cheng I Food Co. and Beei Hae Oil and Fats Co. -- have been accused of using ingredients not fit for human consumption, such as oils used in animal feed and oils extracted from restaurant waste, in their products. Their products have affected more than 500 smaller food companies and stores and more than 1,000 kinds of food items, Foundation Vice Chairman Yu Kai-hsiung said at the end of November. 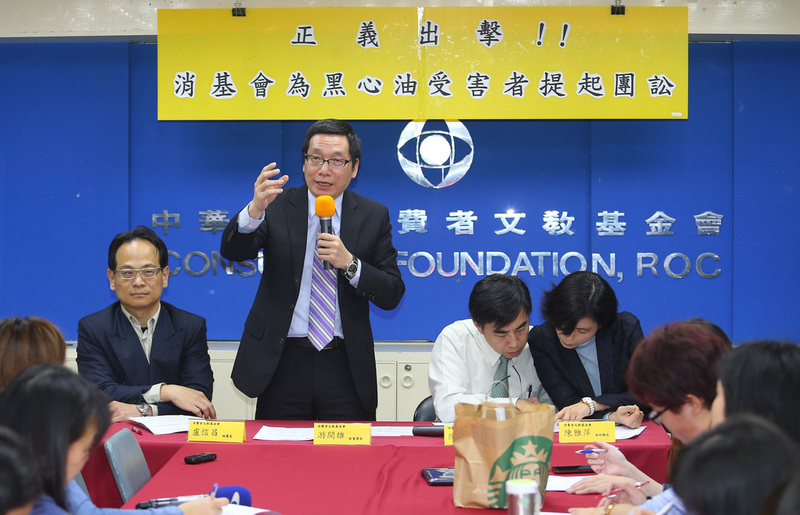 News of the potentially tainted oils surfaced in September and October last year, and the foundation was later authorized by the Executive Yuan's Consumer Protection Committee to file suit against the four cooking oil suppliers on behalf of consumers.